What is Polyurethane and which companies manufacture it? You’ve come to the right place! Polyurethane is very similar to a rubber or plastic. Unlike nylon or UHMW, urethane can be compounded to produce very soft parts, as low as 30A Durometer, or up to very hard, 75D Durometer. Polyurethane is ideal in high demand applications were normal rubber would fail. Polyurethanes are formed by reacting a polyol (an alcohol with more than two reactive hydroxyl groups per molecule) with a diisocyanate or a polymeric isocyanate in the presence of suitable catalysts and additives. Because a variety of diisocyanates and a wide range of polyols can be used to produce polyurethane, a broad spectrum of materials can be produced to meet the needs of specific applications. Urethane is found inside every vehicle and machinery used in material handling applications. 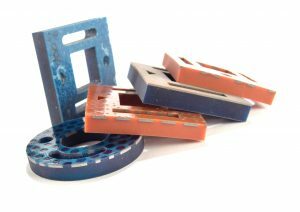 Some polyurethane can stretch twice their size and return to original shape while others provide vibration dampening and extreme resistance to abrasion. Since 1954 Polyurethane compounds have been continually modified and allow processors to custom formulate material to fit many applications. 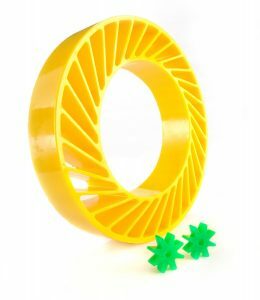 Polyurethane resin is considered versatile because it can be used to produce a wide variety of industrial parts, from urethane molded bearings to urethane coated rollers. 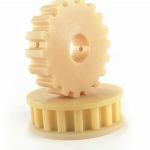 This is possible because the urethane resin can be processed to great extremes, which can customize physical properties such as the durometer and elasticity. In many cases, it’s produced in a liquid form and can be poured into aluminum molds also known as cast urethane. Anderson Development Company: Anderson Development Company is a cutting-edge specialty chemical manufacturer. Anderson Development Company is committed to providing value-added solutions through our intense focus on helping our customers succeed. BASF Corporation: At BASF, we create chemistry for a sustainable future. We combine economic success with environmental protection and social responsibility. Through science and innovation, BASF Corporation enables their customers in nearly every industry to meet the current and future needs of society. COIM Group: Founded in 1962, COIM specialised in polycondensation products (esters), polyaddition (polyurethanes) and several other chemical specialty products. The high quality and variety of its products make COIM Group one of the main leaders of the field. Covestro AG: Covestro is a global leader in cast polyurethane solutions. We make the world a brighter place through innovation that benefits society. From material systems to machine technologies to proven cast polyurethane elastomers, Covestro has the expertise to support our customers with high-quality products, reliable service and innovative solutions. 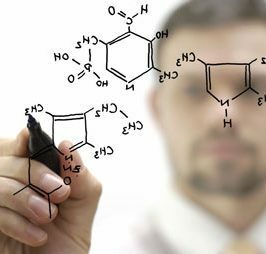 Everchem Speciality Chemicals: Everchem Specialty Chemicals is a sales, marketing and technology driven company that operates in the North American marketplace, promoting urethane commodity, and specialty industrial chemicals. Everchem’s sourcing abilities and technical and market expertise result in real savings of both time and money for customers. Our market expertise helps our suppliers reach additional customers and markets in an easy and efficient way. Huntsman Corporation: We serve a broad and diverse range of consumer and industrial end markets, including: transportation, home life, construction, energy and fuels, and clothing and footwear. Huntsman Corporation develops products that address customers’ needs and help provide solutions to some of the world’s greatest challenges. Lanxess Corporation: As a specialty chemicals company, how can LANXESS help to solve ecological and social problems? Can economic success and social value and benefit interact positively? LANXESS’s approach can be summed up by the sentence: What’s good for business is good for society. Isotec International: Isotec International is recognized globally as a producer of superior chemical products and polymers. From the very beginning, we’ve remained dedicated to solving our customers’ most vital challenges by leveraging our deep industry knowledge and modern R+D operations with a personable, “listen first, listen well” approach that renders sustaining, quantifiable results. Are we missing a polyurethane manufacturer? Please Contact us so we can update the polyurethane manufacturers directory! Plan Tech has an outstanding team of dedicated employees with exceptional talents. We also are very proud of the “company we keep.” Our customers include many Fortune 500 companies, most of whom have been customers for 20+ years. Their drive to become industry leaders has helped us do the same. A variety of additives can be incorporated into polyurethane to enhance wear properties, add lubricity, or produce parts that are metal detectable for FDA food processors.